October 5th is International Walk to School Day. This week, various schools across the state will be participating in and coordinating a number of events to help reduce the risks of pedestrian accidents in Indiana. Back in 2005, legislation was passed to provide funding to individuals states to help create pedestrian-friendly roadways. Politicians around the county understand the importance of safe routes to school for our school-aged pedestrians. Unfortunately, less than 2 percent of road spending is done with pedestrian safety in mind. Events like this help to shine light on these issues and to attract government attention. More importantly, they help remind parents of the risks.Our Lansing pedestrian accident attorneys understand the need for safe routes to school for our children. According to the National Highway Traffic Safety Administration, there were more than 1,300 young pedestrians aged 14-years-old and younger who were killed because of traffic-related accidents in the U. S. in 2009. There were another 179,000 young pedestrians injured in these types of accidents during the same year. –Crestview Elementary: This school is coordinating a Walk to School with the Principal Event. This area has no continuous crosswalks or sidewalks. School officials are hoping to shine light on the need for crosswalks, trails and sidewalks in the area to help keep students who walk to school safe on our dangerous roadways. –Center for Inquiry, IPS School 84: This school participates in a number of walk-related activities throughout the year. It’s expecting a 60 percent participation rate this year. –St. Thomas Aquinas: This is the third year of participation for this school. Parents, partners and volunteers all join together to help raise awareness during this time. The International Walk to School Day started back in 1997. By 2002, there were approximately 3 million walkers across the globe who participated in the event. The organization pushes the event every year to help create healthier habits in children, to improve our roadways and to campaign for cleaner air. Indiana Safe Routes to School Program is a year-long program that works the same initiatives as International Walk to School Day, according to the Indiana Department of Transportation (INDOT). INDOT claims responsibility for looking over the Safe Routes to School Program. The DOT works with the program using federal funds to create safe-pedestrian initiatives. According to the program, if the same number of kids who walked to school today was the same as the number of kids who walked to school in 1969, our country could cut more than 3 billion vehicles miles traveled every year. We would also be able to cut nearly 2 million tons of CO2 and nearly 90,000 tons of other pollutants from our air. These eliminations would be just like taking 250,000 vehicles off of our roadways for one year. Aside from the benefits that our planet would experience from more walking, residents will benefit as well. Walking promotes a healthier lifestyle. With more pedestrians, there would be fewer vehicles and less traffic-related pedestrian accidents. Until that time comes, we all need to work together to stay safe on our roadways. 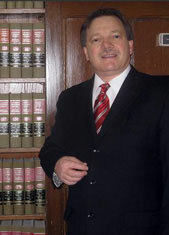 Attorney Burton A. Padove represents pedestrian accident victims throughout Indiana and Illinois including Lake, Jasper, Newton, Porter and Cook Counties. If you or your child has been involved in an accident, call (219) 836 2200.